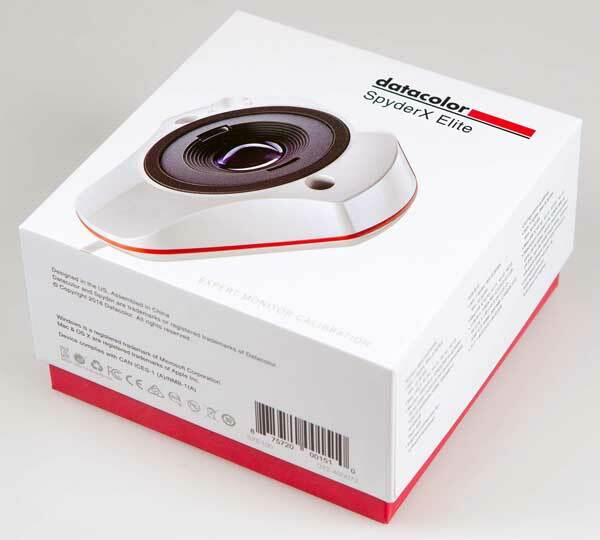 DATACOLOR SPYDER X ELITE: The latest Spyder colorimeter is faster and more versatile than its predecessors but remains affordably priced. The Spyder X Elite enabled us to complete a calibration in a couple of minutes, rather than 15 minutes or more. RRP: Spyder X Pro – $295; Spyder X Elite: $465. Announced in February, Datacolor’s Spyder X colorimeter retains all the best features of its predecessor the Spyder 5 but comes in a sleeker, white body housing a redesigned processing engine plus a larger lens for taking readings. Consequently, the new model takes less than two minutes to run through the measurements needed to calibrate a screen. It is also better suited to new monitors with wider colour gamuts. It’s available in two versions. 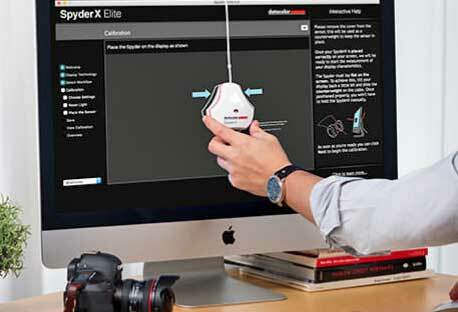 The SpyderX Pro provides the basic tools needed by photo enthusiasts and graphic designers who just want quick and easy monitor calibration. The SpyderX Elite adds more advanced settings to help professional photographers and videographers gain full control of their colour workflow. One useful feature carried over from the Spyder 5 is room light measurement, which provides a quick guide to whether the ambient lighting is suitable for editing. Most profiling options should meet the needs of a both types of users, although the advanced hardware calibration options in the Elite version will be better suited to higher quality monitors. Other features in the Elite version likely to appeal to serious users include support for soft proofing with print output previews and the ability to calibrate digital projectors as well as match all monitors in a studio. 1. More than twice as fast as the previous model, which means calibrating is quicker and easier. 2. The software for both models includes easy-to-understand help screens that explain how and why you make adjustments; not just how. 3. Both models support calibration of multiple displays. 4. Both models include ambient light monitoring and profile switching. 5. Before and after comparisons are available when calibrations are completed. 6. The accuracy of colour measurements has been improved. 7. The Elite version includes soft proofing and projector calibration as well as visual tuning for matching side-by-side displays. Want to know more? For a more comprehensive review, click here.